She was facing a quarter life crisis. Nothing was going the way she had planned. She was descending into madness. She had no one to talk to because all her friends had drifted apart. She had no family from childhood. All she had was a grandfather who wouldn't understand her problems. Once an optimist, she was now hit by depression. Her To-Do list was never-ending, deadlines were coming to hang her and she wanted to run away. This wasn't what was supposed to happen. This wasn't what she had planned. This wasn't it. Earlier she used to write down everything in her diary. But, since the past year, she had found a friend. She used to share everything with him. He had become her diary. He had become her person. He was as broken as she was together. She waited for him to be whole so that they could embark upon their journey together. But then, she was broken and he was together because he moved on to another girl and all she could do was wonder at her stupidity for expecting him to love her. Her best friend who was her guide had drifted away because of an illness and couldn't be there for her. Her other group of friends were too busy and successful to listen to her stories of misery and depression. The one good thing going on in her life was her job. She focused all her time on it. But, soon, after a few months she was sent on a sabbatical as she had become a workaholic. She was all alone with nothing to do, nowhere to be and no one to love. That's when she resorted to God. She went to a temple and sat. She prayed. And somehow from within, she felt good. She felt normal; happy even. 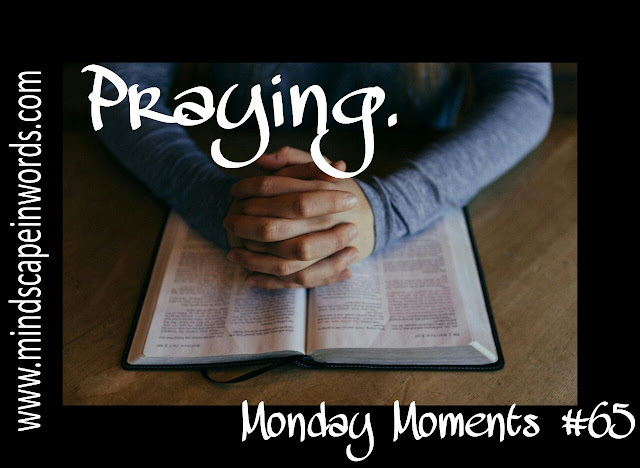 Since that day, she began praying every day and as days went by she started feeling better. She started to enjoy the little things. She started to change her loneliness into solitude and rejoicing in it. 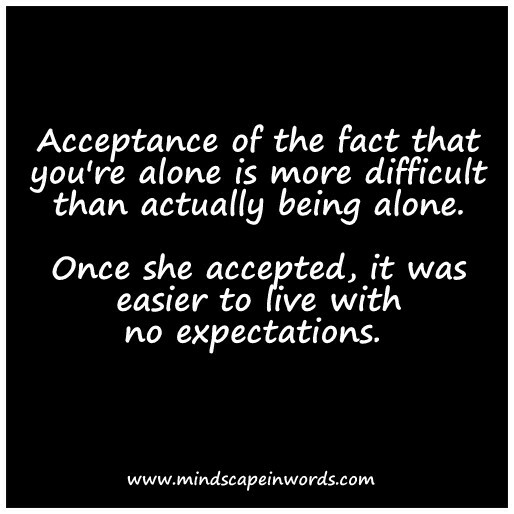 Acceptance of the fact that you're alone is more difficult than actually being alone. 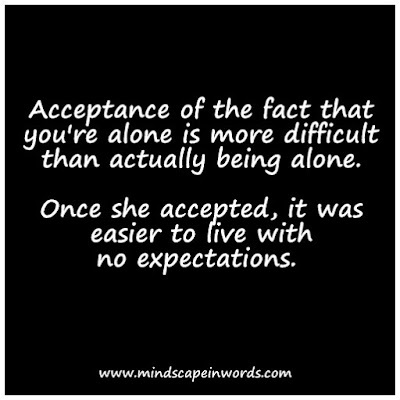 Once she accepted, it was easier to live with no expectations. She found herself again in the presence of God. Wow this is so relatable and a reminder to pray! I love how this ends, especially that last line! I love that we are never truly alone because we have God. This is beautiful. When we feel like we are alone and have no one else, God is always there. Such a wonderful reminder of His love for us. Thank you for sharing! God Bless!